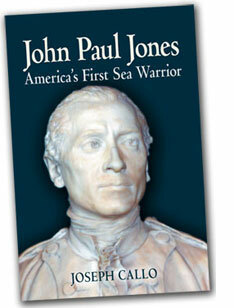 “This book, written by a Navy Admiral is perhaps the most carefully researched, most balanced of the biographies of John Paul Jones. It has neither the adoration, nor the snide condemnation of some other recent biographies." “…a biography that eschews both the blind idolization of past accounts and the inaccurately deconstructionist present accounts of Jones’ amazing life….scrutinizes both the well-known aspects of Jones’ life…and lesser-known aspects such as his relationship with civilian leaders like Benjamin Franklin, which in turn set precedents for a fledgling nation’s concept of civilian control of the military...even-handed and meticulously accurate.